I am now the proud owner of a Day One XBox One gaming console! I had it on pre-order over the summer and picked it up on launch day (after the launch party). I got my unit from the Microsoft Store at Woodfield Mall in Schaumburg, IL. The sales guy said the launch party was successful, but they weren’t too packed. There were a few others picking up their units while I was there, and they had the demo unit by their door so passer-bys could see it in action with the Forza game. As expected, the sales guy offered the bundle with extended warranty and tried to sell me on some accessories. For now, I just got the XBOne and the Call Of Duty: Ghosts game…no accessories or additional games. For some background, I’ve been an XBox 360 user with XBox Live for a couple of years now. I also own two PS3’s, but mainly just use them to play blu-ray movies. I’m an occasional gamer, but a big techie. By the time I got home, it was getting pretty late, but I decided to hook it all up anyway. I disconnected my XBox 360 (which I moved to the bedroom), and started connecting my XBox One. After first turning it on, it took a few minutes at the XBox One startup screen, but it finally loaded and asked a few simple setup questions, like connecting to my wifi, etc. Right away, it prompted me to install the Day One Update, which was around 500MB. I started that, but I never saw a progress bar move or a percentage. After about 30 minutes, I decided to go to bed and let the update do its thing. When I got up in the morning, it was on the same screen. I turned the XBox One off using the touch button on the front, and when I turned it back on, it prompted me for the update again, this time I got a progress bar and it completed after about 10-15 minutes. After setting up multiple users in my family and setting up the Kinect to recognize them, one cool feature is that as soon as they walked in the room and sat down, the XBox One greeted them, saying hello on the screen. I haven’t tried out all of the voice commands yet, but its nice not having to use the controller or remote to operate it. 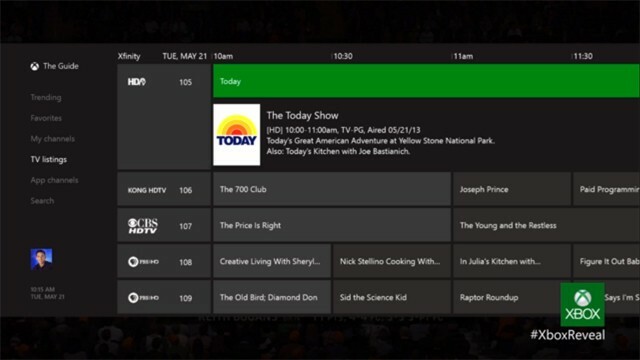 I watched some TV through it and tried the OneGuide briefly. I also played some Call Of Duty: Ghosts, both Campaign and Multiplayer. Watching my At&t U-Verse through the XBox One worked smoothly. I did notice that the HD channels didn’t take up my entire screen like they do with my cable box directly connected to my TV, but I didn’t troubleshoot that and just left it alone. To watch movies, you have to download the Blu-Ray app from the Store on the XBox One, but after you do that, it worked great watching a DVD. I also tried out the XBox Fitness game, which uses Kinect to watch your moves while you follow along to workout videos. If you’re an XBox Live member, you can get a number of workouts for free. The Skype app worked well also. I tried it from my iPhone to the XBox One. 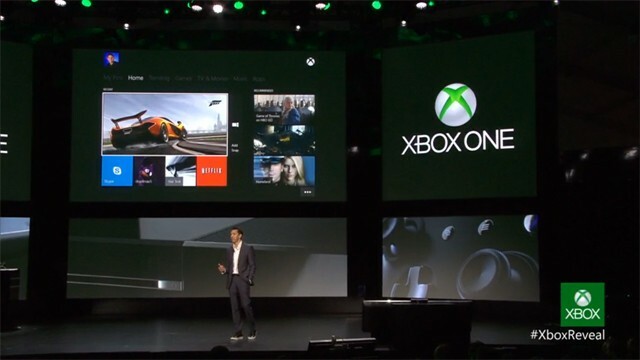 The video from the XBox One was flawless and crystal clear. The video on my TV was a little blurry due to the resolution difference between my phone and my TV. Overall, I’m very pleased with the XBox One so far. I haven’t tried a PS4 yet, but I’ll remain an XBox guy this round. It’ll be interesting to see how the game console wars play out this holiday season.